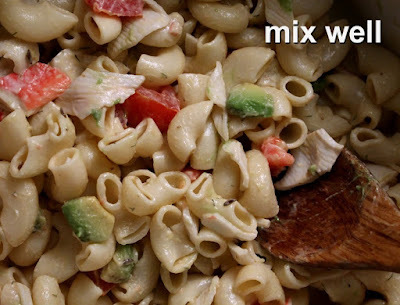 This recipe is Wife Approved and she actually makes it herself. I just kicked back and took a few photos so you can see how she does it. 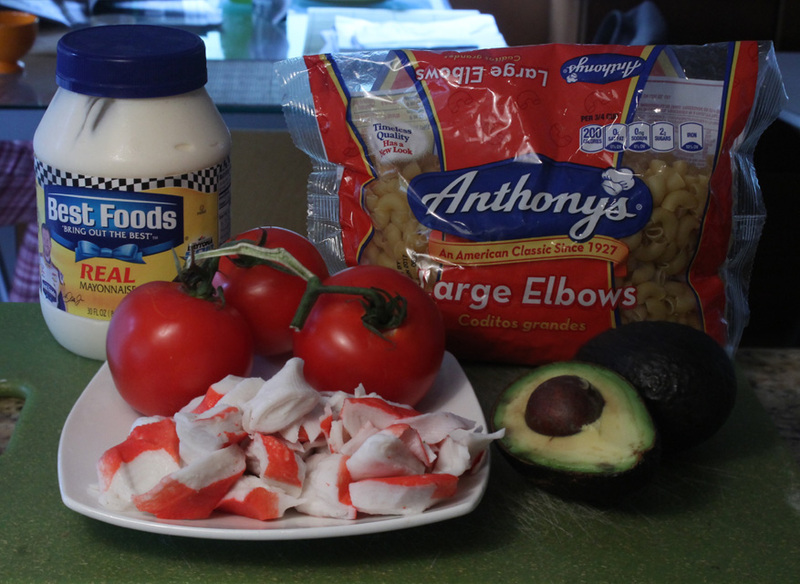 Juicy tomato and creamy avocado always go well together, and with the addition of fake krab you have a filling and winning Macaroni Salad - it's a standalone meal. I can find tomatoes for less than a dollar per pound, especially smaller Roma and cherry tomatoes. Often tomatoes are semi-ripe and slightly hard. They improve in taste if you let them ripen on a counter for another day or two. 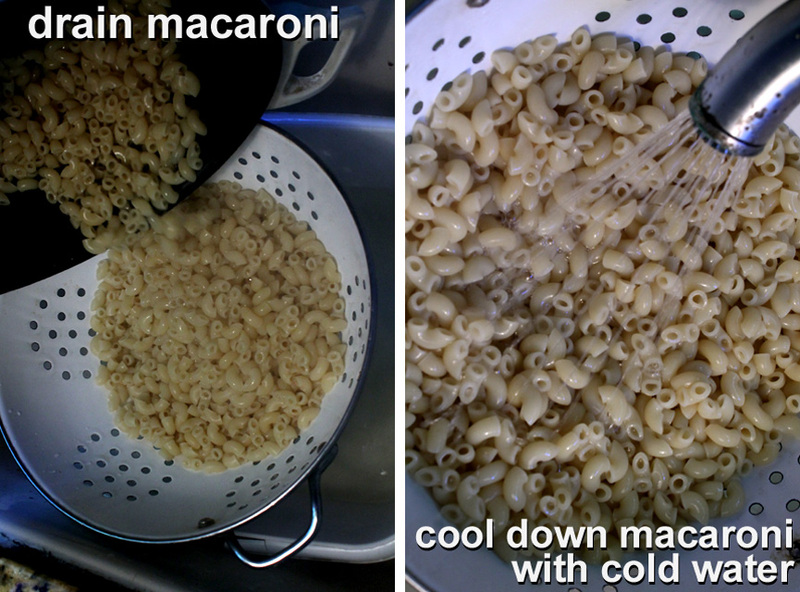 Refrigerate when ripe. Avocados are frequently on sale at my local Latin market.You want to plan ahead if avocados are hard and green, they may take a few days to soften for peak ripeness. And a trick I use is to keep ripe avocados in the refrigerator until read to use. 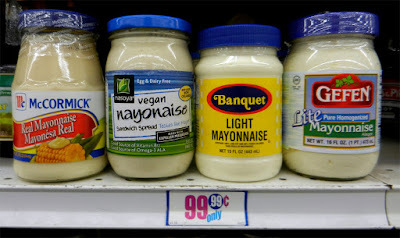 I use mayo a lot, so I always stock up when it's on sale. 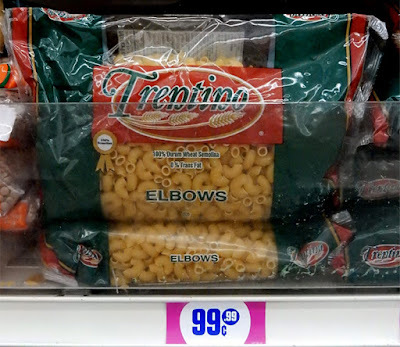 My local 99c only Store carries all kinds. So there is no excuse not to make my latest recipe, Macaroni & Krab Salad with Avocado& Tomato, especially when it's Wife Approved! 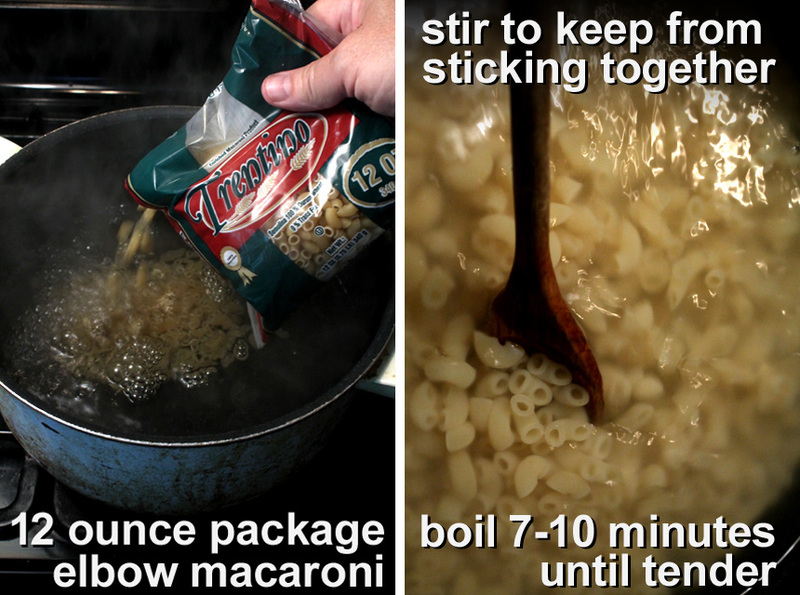 It travels well, so make plenty to bring to your next pot luck or party. 1 cup chopped tomtoes - about 2 to 4 tomatoes, depending on size. 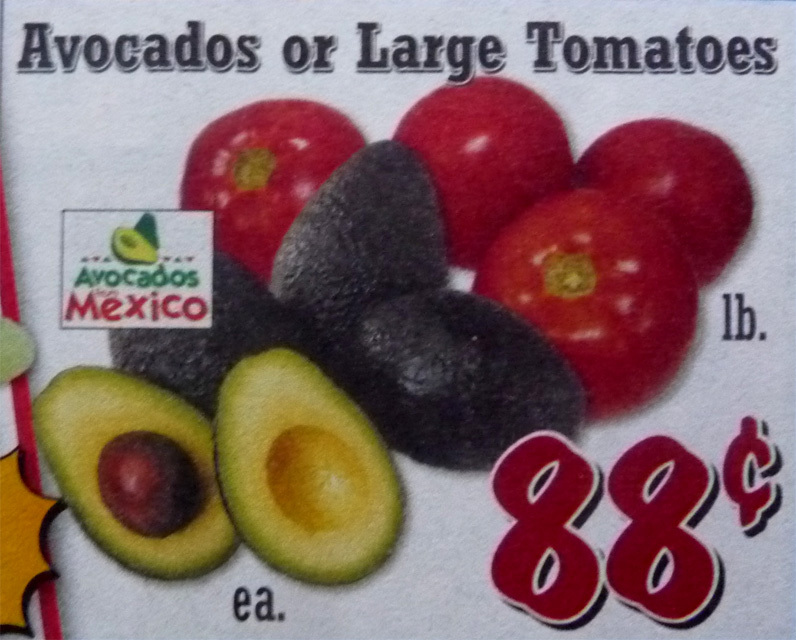 You can use any type of tomato even smaller and cheaper Roma or cherry tomatoes. Okay to add more to taste. 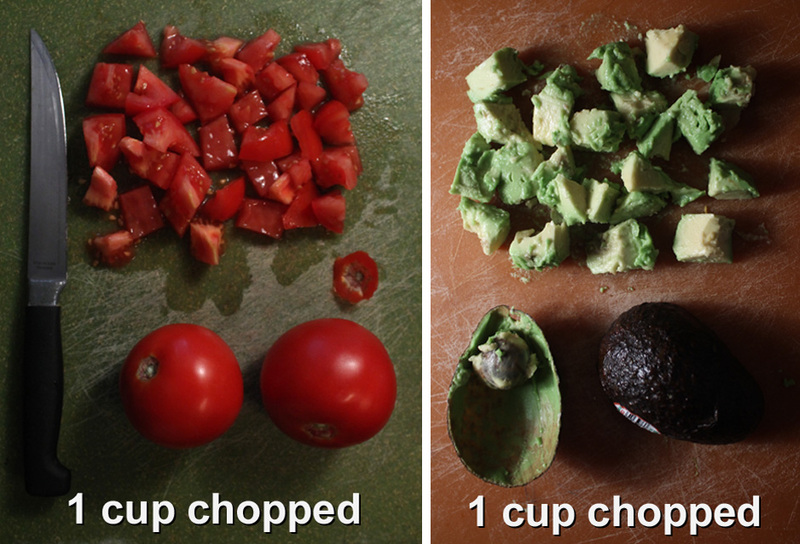 1 cup chopped avocado - about 2 avocados, depending on size. Okay to add more or less according to your budget. 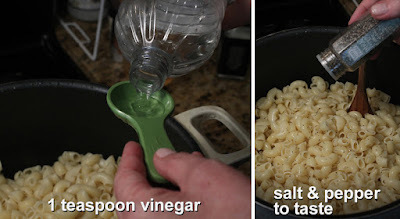 1 teaspoon of vinegar - use white or rice vinegar. Extra flavor - half a teaspoon of dill (dry or fresh,) celery seed and dried mustard. 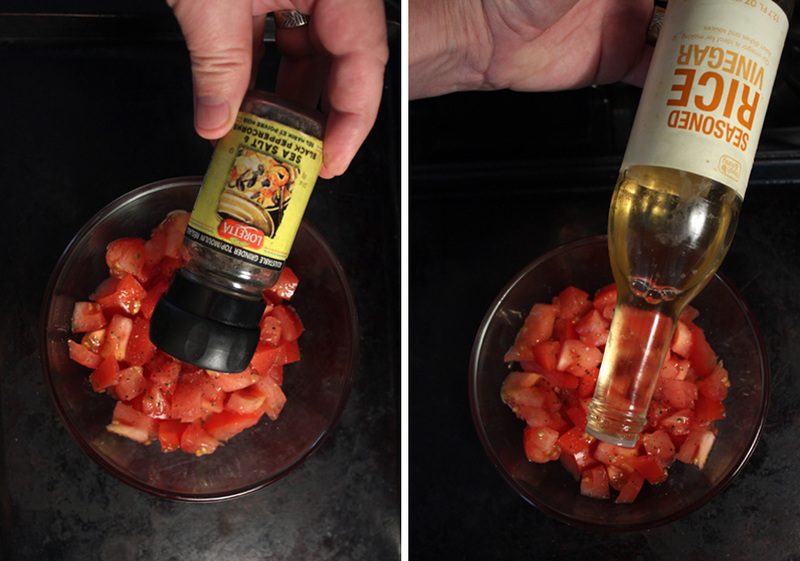 My wife likes to "brighten up" chopped tomato with a dash of vinegar, salt and pepper. Shred or slice krab. See below under Hindsight to reconstitute krab if it's mealy and dried out from freezing. 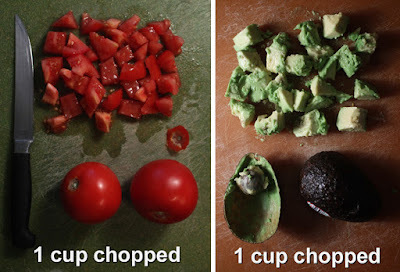 Add chopped tomatoes, krab and avocados. Lightly mix all ingredients. 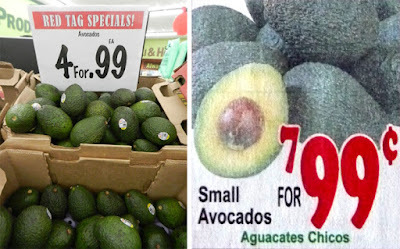 Be careful when mixing, if avocado is very soft. Okay to add avocado last, so you don't smash it up. 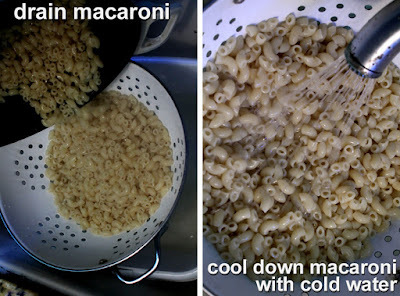 Serve right away, or refrigerate for a few hours to chill. 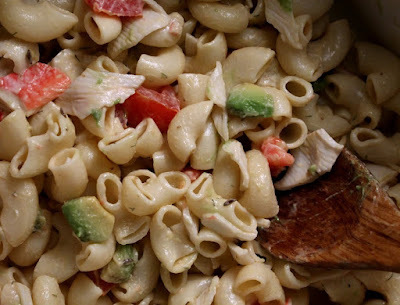 Avocado will start to brown the next day, so best to try and finish Macaroni & Krab Salad with Avocado& Tomato in a couple of days; or just set aside the unpeeled avocado and add fresh chunks before serving. 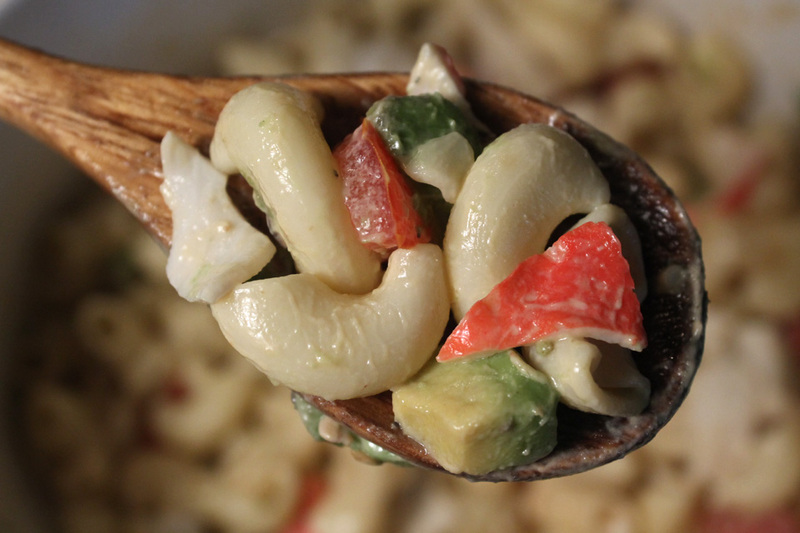 You can make this Macaroni Salad without krab. To keep it vegetarian use a vegan mayo. If you prepare Macaroni & Krab Salad with Avocado& Tomato far ahead of time make sure to check for desired creaminess to see if mayo holds up. You may need to add a tablespoon or so more. Sometime kab can be tough or mealy, especially when frozen and defrosted. To bring krab back to life, add it to a bowl and just drizzle on half a teaspoon of water over defrosted krab. Cover it with a paper towel or napkin and microwave in 10 second increments. Stir krab and repeat if necessary. You just want a slightly warm and soften krab. Be careful not to overcook krab or it becomes mushy.